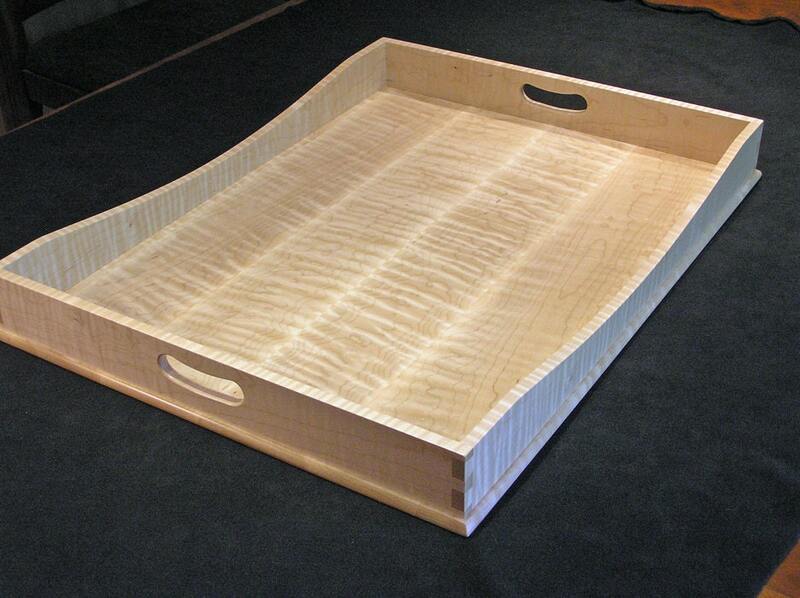 Our serving and ottoman trays are made using highly figured Tiger Maple. 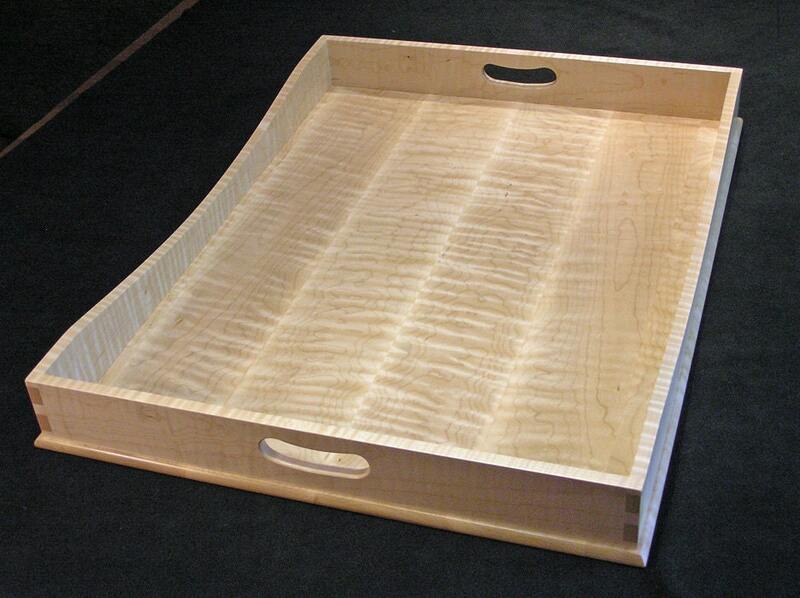 The Tiger Maple is beautiful and each tray is unique because of the exceptional wood grain patterns we select. 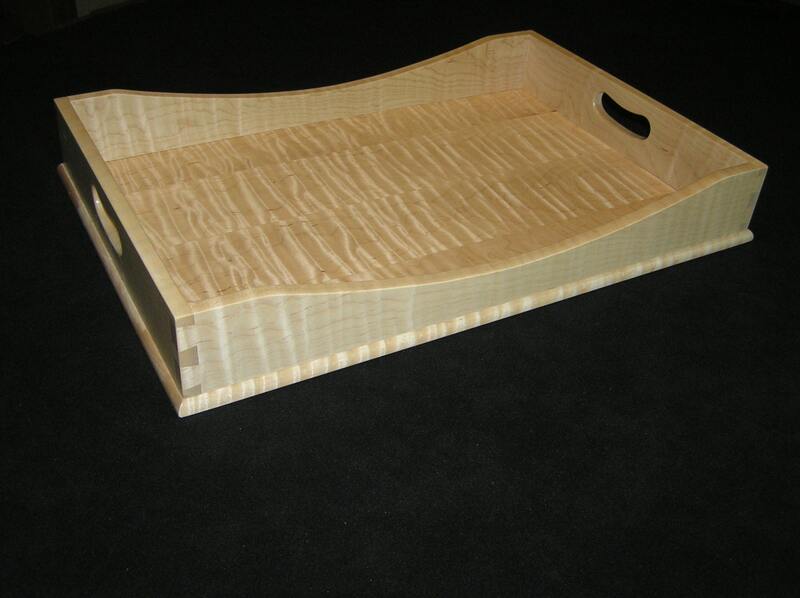 The trays are really built to last by only using solid hardwood and with traditional dovetailed corners for strength, just like fine furniture. 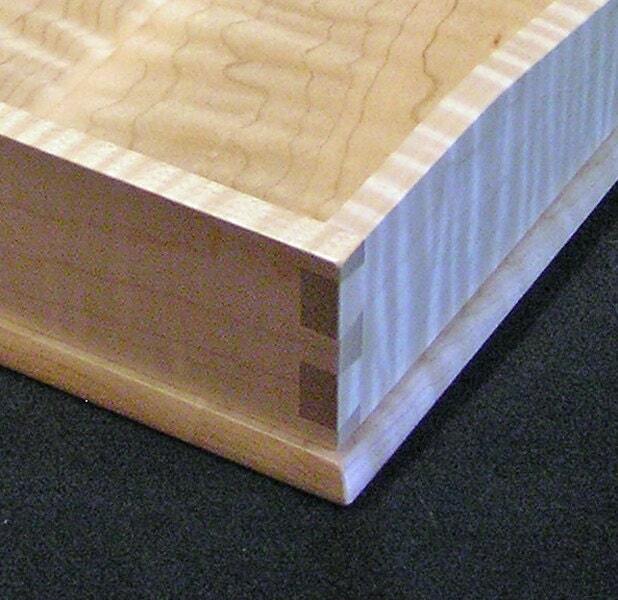 We've added a a protective varnish over the top for a durable finish. Because the finish dries clear, you can still see the natural wood grain underneath. Our trays are hardy and require little extra maintenance. Do not soak in water, but if you have food or wine spills just wipe it with a damp rag. This tray is a light, natural maple look that serves as a beautiful accent piece on an ottoman. 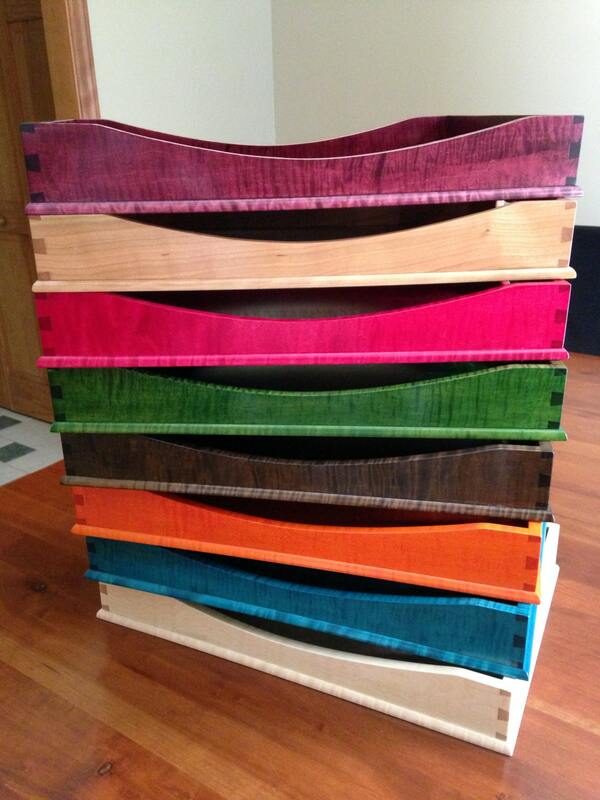 Also makes an awesome wedding gift!